The U.S. Post Office shut down for two days during the polar vortex, but some residents in Riverwest say they didn't get mail for much longer than that, and it's an ongoing problem. 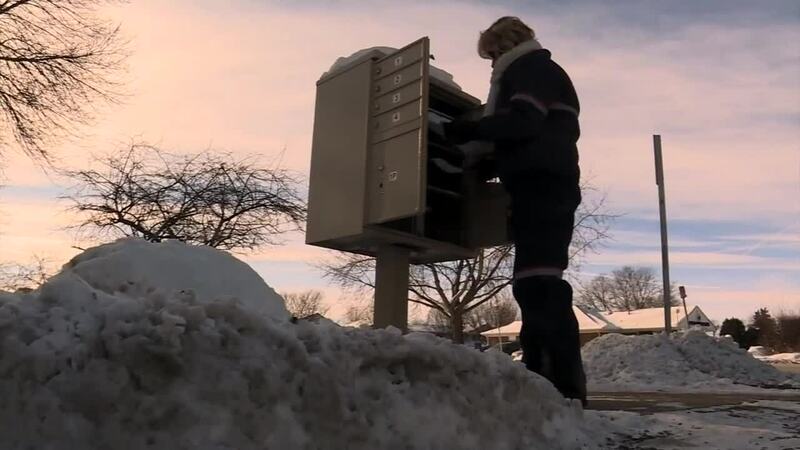 MILWAUKEE — The U.S. Post Office shut down for two days during the polar vortex, but some residents in Riverwest say they didn't get mail for much longer than that, and it's an ongoing problem. Every day for the last two weeks, Carmen Caban Quiles opened an empty mailbox. "Two weeks is ridiculous," she said. "I had not received my W-2s. I was calling the bank. They said we mailed them." Her neighbors by Booth Street were in the same predicament, so she called the post office on MLK Drive. Officials said her mailman was sick, she said. "They don't do anything about it," Caban Quiles said. It wasn't the first time this happened. "Whenever he's gone, then it's chaos here," Caban Quiles said. At Sandra Wajer's home near Humboldt and Walworth, postal workers told her that her mailman was on vacation. "If you can't count on the mail to get there, why are we using it?" Wajer said. It was the week when service shut down for two days due to the weather, but she at least thought she'd get mail one of the other four days. "I thought they're supposed to come rain, weather, snow, sleet, we deliver the mail," Wajer said. Mail is back to normal for these residents, but TODAY'S TMJ4 reached out to USPS for comment about the delays. A spokesperson said, "We gladly work to address any specific issue from the community when brought to our attention ..."
USPS. encourages customers to reach out to their local post office or call their toll-free number at 1-800-275-8777 if they have concerns. A postal worker, who spoke to TODAY'S TMJ4 off-camera, said this has to do with a shortage of employees. TODAY'S TMJ4 asked USPS about this, but it didn't address the situation specifically.